Immerse yourself in America's history without ever cracking a book, during a three day getaway to charming Abingdon, VA.
History abounds in Abingdon. When you look at the mountains surrounding town, you think of Daniel Boone walking through the woods or early American pioneers traveling the Great Road across the Blue Ridge Mountains to settle the new frontier. Check-in to the Martha Washington Inn & Spa. Built in 1862 as a private home, The Martha has served as a finishing school, a Civil War hospital and a women’s college. For dinner, head downstairs to Sister's at The Martha for upscale casual dining experience. Then sit on front porch for a relaxing evening of conversation. Then take in a show at the historic Barter Theatre. Originally built as a church in 1829, Robert Porterfield opened it up as a theatre during the Great Depression for patrons to “barter” for tickets with produce and food goods. Now with a resident company of professional actors, the theatre delights 160,000 patrons a year between their two stages. After breakfast, stroll down Main Street towards the Abingdon Arts Depot - a historic railroad depot that houses working artisan studios. Visit the William King Museum of Art for rotating exhibits of traditional and contemporary Appalachian art and artifacts. Housed in a former 1913 school, this museum is the only nationally accredited museum west of Roanoke, Virginia. Abingdon is home to The Abingdon Muster Grounds, the location where a volunteer militia mustered September 24, 1780, before joining the Revolutionary War. A magnificent exhibit will show you what life was like in those days for the troops and their families. The Muster Grounds are also the start of the Overmountain Victory National Historic Trail. This trail follows the path of brave volunteers who mustered in Abingdon to begin their journey to Kings Mountain, SC, where they defeated the British army in one of the Revolution’s decisive battles. Head back to The Martha to freshen up before you walk to The Tavern for dinner. Located in the oldest building in town, this upscale dining experience comes complete with hand-crafted cocktails and moss on the roof. 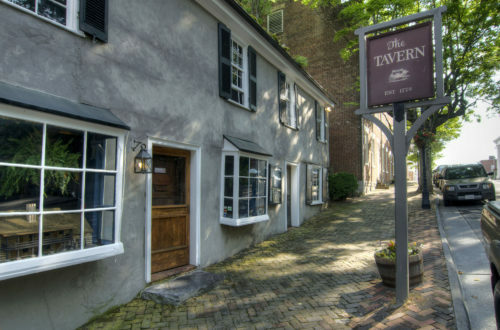 The Tavern in Abingdon, VA was originally constructed in 1779. Take a self-guided walking tour of downtown's historic buildings (available at the Abingdon Visitor Center). 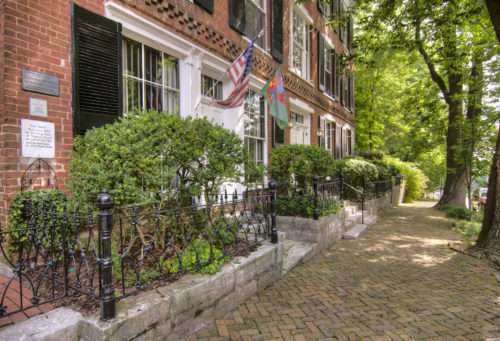 In the 20-block historic district, you'll find architecture from the 18th, 19th and 20th Century. Almost the entire downtown is listed on the National Register for Historic Places, and as soon as you step foot on the hand-laid brick sidewalks, you'll see why. Before heading home, have a bite to eat a BoneFire Smokehouse. Located in an old hardware store, their menu boasts smoked on-site meats, a BBQ sauce bar and more sides than you can count.